I don’t know. 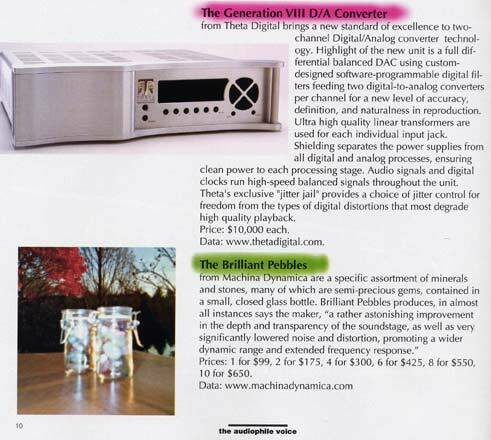 If $30 billion was spent on SDI, and their Brilliant Pebbles are “cheap” at $1.4 million each, the Brilliant Pebbles in this ad from “The Audiophile Voice” magazine don’t seem like such a bad deal. I bet they would work just as well as the SDI ones. Maybe even better. Oh, and the 10 Kilodollar DAC also seems cheap.